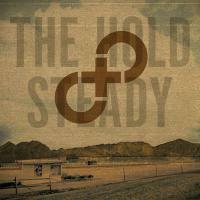 The Hold Steady’s new album, Stay Positive, is set to hit the stores (that phrase is becoming increasingly metaphorical) on July 15th. I’ve heard a bunch of tracks from it – the album was leaked – and I have to say that it sounds more like critical darling Boys and Girls in America than my personal fave, Separation Sunday. I have a soft spot for the specificity of Craig Finn’s lyrics, telling the stories of particular characters, and both his music and the libretti seem to be moving from being narrowly- to broadly-focused, and -appealing. In accordance with the highly civilized takedown notice that they’ve been sending out to blogs that post tracks from the leaked album (more on that to come), I’m going to post the approved link to the approved song on their approved server. Enjoy.